Join the University of New Hampshire Women’s Soccer Fall ID Clinic. It is a 3-hour clinic on October 14 at the Bremner Field in the University of New Hampshire campus. It is inviting female soccer players in the 8th grade up to 12th grade. This is the ideal training program for outstanding players who want to be part of the University of New Hampshire women’s soccer team. It provides the participants a valuable experience of the elite level college training and competition. In addition, participants will also experience playing in competitive small-sided and full-sided games. It will start at 11:00 AM and end at 2:00 PM. Overall, it will be a fun yet challenging experience. University of New Hampshire is a public research, coeducational, sea-grant, land-grant, and space-grant university in Durham, New Hampshire. It also has campuses in Concord and Manchester, New Hampshire. The university is a member of the University System of New Hampshire as well as the Association of Public and Land-grant Universities. Furthermore, the university has an accreditation from the New England Association of Schools and Colleges, Inc. through the Commission on Institutions of Higher Education. University of New Hampshire is 103rd in National Universities, 2018 edition of Best Colleges rankings. It is also 68th in the Best Value Schools rankings. Currently, it accommodates around 12,900 undergraduate students and 2,500 postgraduate students. The student to faculty ratio is 18:1 with an acceptance rate of 62.4 percent. The university’s athletics teams are competing in the America East Conference of NCAA Division I. Leading the University of New Hampshire women’s soccer team is head coach Steve Welham. Under his leadership, the Wildcats prove themselves to be one of the best college soccer teams in the America East Conference. She is once again on the task in bringing another successful year for the women’s soccer program. Then, the Wildcats women’s soccer team’s assistant coaches are Amanda Webb and Sammy Boateng. 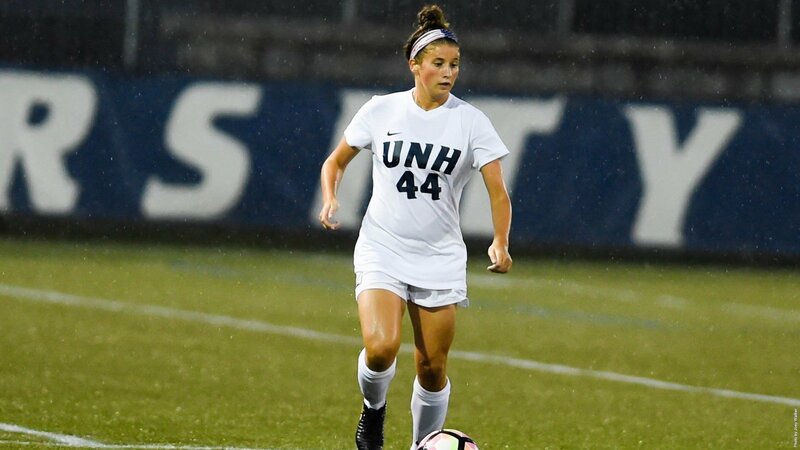 The University of New Hampshire Women's Soccer Fall ID Clinic is a 3-hour clinic on October 14 at Bremner Field in the University of New Hampshire campus.